One of China’s hottest new pop groups has revealed their members are all female, after framing themselves as a “boy band” to thousands of fans. Acrush formed last year after winning a competition and have been touring the country, garnering over 900,000 followers on Chinese social media giant Weibo. 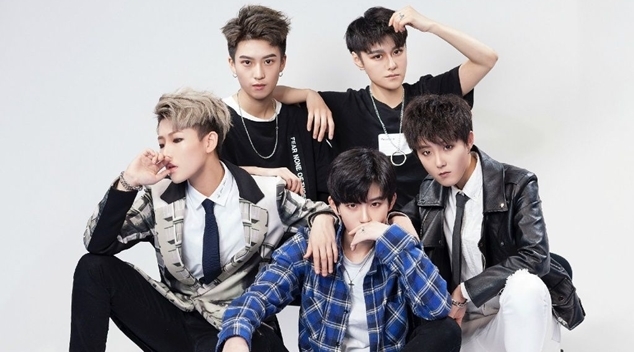 The group’s agent Zhou Xiaobai was inspired by Chinese pop sensation Li Yuchun to form an androgynous pop group; forming Acrush with members Lin Fan, Min Junqian, Peng Xichen, An Junxi and Lu Keran. While Acrush’s management encourage members and fans to use gender neutral titles (such as ‘handsome youths’), the troupe are often referred to as ‘husband’ by adoring female fans. Acrush are also forbidden to discuss their sexuality. Member Lu Keran told media that they would “of course” not write back to a love letter from a female fan, but male fans might receive a response. The band have also received negative feedback since the reveal, with some fans speaking out against the masculine attire. The group will also be a part of the Fantasy Football Confederation, where they will learn to play soccer as part of their live shows. Acrush’s debut video is due out later this month. Check out one of their live performances below.